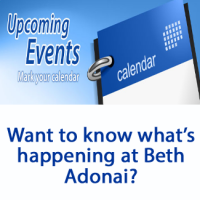 Congregation Beth Adonai | Do Messianic Jews celebrate all the Jewish festivals and if so, why? Most Messianic Jews celebrate the Biblical festivals, i.e. Passover, Shavuot (the Feast of Weeks), Rosh Hashanah (the traditional Jewish New Year-the Feast of Trumpets), Yom Kippur (the Day of Atonement), Sukkot (the Feast of Tabernacles), Hanukah (the Feast of Dedication of Lights) and Purim. We celebrate all of the feasts because it is instructed by God in the Torah for Israel to observe these festivals forever (Lev.23:21, 31, 41, Ex.12:14). The Messiah Yeshua observed these festivals as did the early Messianic Jews and apostles such as Rabbi Shaul or Paul (Acts 20:16. I Cor. 16:8, Acts 28:17). We also believe that when the Messiah Yeshua returns to this earth these festivals will be re-established worldwide (Zech. 14:11-21). When we, as Messianic Jews, celebrate the festivals, we do so in a Messianic way, with the view that Yeshua is the fulfillment of all these Holy Days (i.e. He is our Passover Lamb, our Atonement on Yom Kippur, etc.). 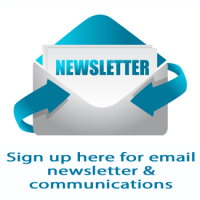 Home » Visitors » FAQs » Do Messianic Jews celebrate all the Jewish festivals and if so, why?